We all come across articles that tell us what we should do on your social media, but rarely do we come across an instruction manual that tells us what we shouldn’t do. Misguiding and irrelevant content on social media can have unhealthy consequences for any business. We have put together a list of things that should be avoided when running a social campaign or marketing on social media. Always supervise content before it gets uploaded onto company pages. Frivolous and irrelevant content can cause fans to un-friend the brand pretty quickly. The brand should have a team of social media content experts to overlook all the posts and updates that are shared on the social media pages. Making mistakes is human but users get easily appalled if the content has grammatical errors or, even worse, spelling mistakes. Brand communication through social media is highly critical because B2C brands sell their products and services through social media. Supervising your social media updates for accuracy will help save you from consumers turning away to other brands. Memes are getting increasingly popular with brands. Companies are using memes to communicate its culture, style and product message in a creative way. Memes in both photo and video format are being used by brands to connect with consumers and increase engagement in a fun way. But what many brands don’t know is that memes are a strict no-no for a company’s LinkedIn page. LinkedIn is essentially a professional platform for networking and connecting with other professionals. Businesses use LinkedIn to market and even generate leads for their products and services. Posting memes on LinkedIn can be hurtful for your brand’s professional image. Knowing when to post and how much to post is very crucial. Over posting of content can not only be a clutter for your fans but also a big turn off in terms of consistency. Always have a planned schedule of how many times in a week your social media pages will be updated. Clogging up a user’s newsfeed is never a good idea it can cause loss of fans in no time. Posting when the users are most online during weekdays (1 to 3 pm) will generate maximum clicks and impressions for your online campaigns. Although it is true that social media has a great ROI, it is misunderstood as a platform for simply selling products. Social Media plays a far-reaching and exceptional role in brand awareness. The first step to creating a great product is by creating its need in the minds of the consumers. As a brand, the primary use of social media should be to communicate the brand’s core value positions and increase fan base. Cluttering consumer’s newsfeed with campaigns that only promote and sell products and services is never ideal. Consumers are interested in a brand’s story because it is the story that will create a space for your brand in the consumer’s mind and connect on an emotional level. Create a strategy that aligns with the marketing and sales of the brand. Social Media is an open platform. 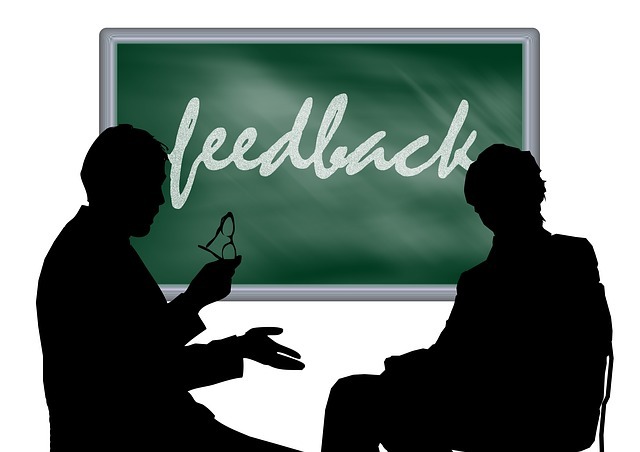 It can attract both positive and negative feedback for the brand. While it is relatively easy to deal with positive comments about products or services; negative comments can cause stir in your brand’s reputation. Disgruntled or dissatisfied consumers will often resort to social media to express their opinion. Many businesses are not particularly comfortable engaging with this kind of feedback, but the best way to calm down upset consumers is by responding to them. Ignoring their comments will only attract more negative publicity for your brand. Your company page is a direct expression of your company values and ethics. What you share and post reflects how you function. It is important to make sure that level of professionalism involved in the updates is up to the mark. Being too casual can give your fans an impression that the brand is not serious just like its communication. Things that should be strictly avoided are: posting about what where your team partied last night, what the team ordered for lunch, what did the employees do on a weekend and so on. Unless you are a event planning agency that needs to depict a fun image these updates will not help your social media presence. Always segment your fan base before posting. If your fan base is managers and executives a significant level of professionalism is a must if your fan base if young peppy crowd being casual could be helpful. Brand loyalty is a reality, and businesses can do more harm than good when being to aggressive in going after their competitors. Don’t make the same mistakes other companies did. Luckily for you, modern day slip ups are well documented and featured online, so do your research beforehand and save yourself with knowledge. There are many different ways you can use social media and increase consumer engagement. As a brand, find a social media strategy which highlights what platforms are best for promotion and awareness. A Steel manufacturing B2B company might gain nothing from being on Facebook because its customer base is largely other businesses and not consumers, while a B2C clothing company wouldn’t want to pass up on the millions of potential page views Facebook provides. Following certain practices will help you achieve your social media goals and increase leads. To know more about how your brand can leverage through Native Advertising please connect with us at www.connatix.com or simply leave us a comment below.